One of my favorite scenes in A Charlie Brown Christmas is watching what happens when Charlie Brown picks out the scrawny, pathetic Christmas tree that no one else wanted and takes it home to his friends. 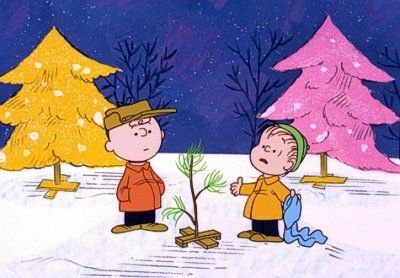 I think it is very interesting that over the years, Charlie Brown's pathetic Christmas tree has become a symbol of the Christmas Spirit and of the true meaning of Christmas. I was so happy to discover several years ago that these scrawny Christmas trees are available for purchase. I got one for our family to teach my daughters about the importance of giving a little love at Christmas. This scrawny tree has gone on to become one of the best selling Christmas trees on Amazon. Not bad for a little tree. 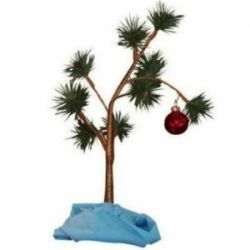 The Charlie Brown Tree is available in different versions through Amazon and eBay or you can make your own Charlie Brown Tree from a scraggly tree with a blue blanket and a red ornament. It's not a bad little tree, really. Who would have thought that this scrawny little tree would be so popular. This version comes with a tree, red ornament and a small Linus blanket. a symbol of the true meaning of Christmas. Several years ago now, year I got the Charlie Brown Tree and a large Linus blanket (no longer available) as a special present for my daughters. I made sure they'd watched the Charlie Brown Christmas before they opened up the two gifts. My girls immediately took to the tree and carefully wrapped it up in the Linus Blanket, giving it a lot of love. In the off season, the Linus Blanket has gone on to become our main T.V. couch blanket, the one that everyone curls up under. It is still one of the trees that gets set up every Christmas, with lots of love. You can own your own Blu Ray version of a Charlie Brown Christmas to watch whenever you want to watch it. This tree also plays music, the "Linus &amp; Lucy" theme song. (This is not the Christmas Time is Here song). Comes with one red ornament. Add a blanket to complete the look. Christmas isn't Christmas at our house until we hear the Charlie Brown song, "Christmas time is here..."
The music from from Vince Guaraldi Trio that has become a holiday staple. Purchase the CD on Amazon and download a free MP3 version. A happier Charlie Brown is seen here decorating the tree with his best pet friend, Snoopy. The music box plays ''O Christmas Tree'' while the scene revolves. A beautiful gift for the Christmas season. Measures 4 in x 4 in x 6.5 in (height). Apparently, I am not the only person who enamored by Charlie Brown's Tree. This scrawny tree that only Charlie Brown wanted to love has become a "must have" item at homes, dorms and even office settings. Other people strive to find a "Charlie Brown Tree" the saddest or scrawniest tree for a variety of reasons. I see the tree as a way of showing demonstrating love and caring at Christmas. 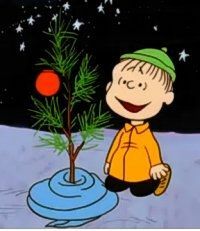 Charlie Brown's pathetic Christmas tree has become a symbol of the true meaning of Christmas. Amy Graff, the Mommy Files blogger for the SFGate challenged everyone to share a photo of their pitiful tree with a lot of heart as part of an online gallery. Does your Christmas tree make you want to say “Good grief”? Upload photographs of your puny, pathetic trees into our photo gallery, and we’ll share the images on Christmas Day. Linus, I just don't understand Christmas. I feel sort of let down. Linus's Monologue about What Christmas is all about another one of my favorite scenes answering Charlie Brown's question, "Isn't there anyone who knows what Christmas is all about?" Share the holiday classic in a deluxe hardcover book form. This cloth bound deluxe collector’s edition is faithful to the original television special that airs every Christmas season, perfect for fans young and old. A cute stocking-stuffer version of the Charlie Brown Christmas. Add the extras with a blue linus blanket or scarf and a red Christmas ornament. The updated version of a Linus blanket, the Linus scarf. You can keep a Linus blanket with you and no one will know. Vickerman Fancy Red Hot Holographic Glitter Drenched Christmas Ball Ornament, 3"
Charlie Brown, Snoopy, and Woodstock each did their stint as a lonely Mexican cowboy, it seems. 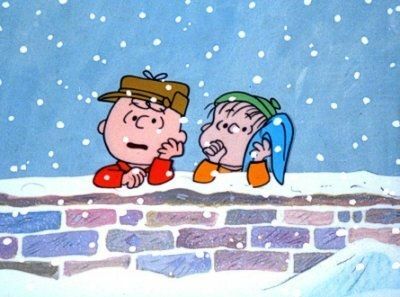 These and other things you didn't know about A Charlie Brown Christmas. 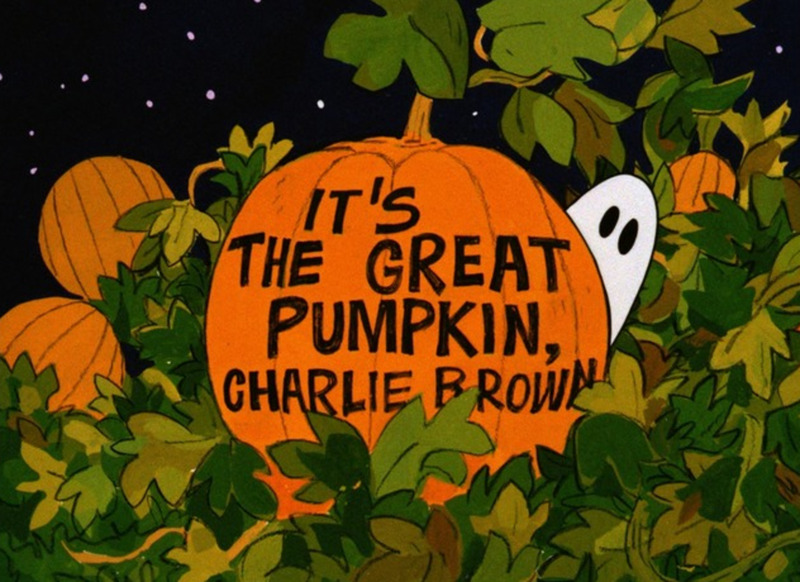 When CBS bigwigs saw a rough cut of A Charlie Brown Christmas in November 1965, they hated it. They said it was slow, executive producer Lee Mendelson remembers with a laugh. There were concerns that the show was almost defiantly different. A cute addition to a Charlie Brown Christmas village. Are you ready to adopt a Charlie Brown Tree for your own home and give it a little love? @tonybonura: Still one of my favorites too. It isn't Christmas without seeing Charlie Brown. I remember when that show first came out and I have seen it many times since then. It has become one of my favorite Christmas shows. I never get tired of seeing it, just like It's A Wonderful Life is one of my favorites too. Absolutely! Love the Charlie Brown trees of the world! Wonderful presentation here... really nice work. I love that little Christmas tree it reminds me of one my family had once when I was a little girl. My family loves Charlie Brown. We always sit down and watch it every Christmas! Great lens! I know I would love to receive a Charlie Brown Tree! How wonderfully creative!! I love this idea! How could anyone not feel a special connection to that sweet little tree? I love the lens! I love Charlie Brown and Snoopy too! Charlie Brown's Christmas has always been one my favorites. It tugs at the heart and really makes you think. 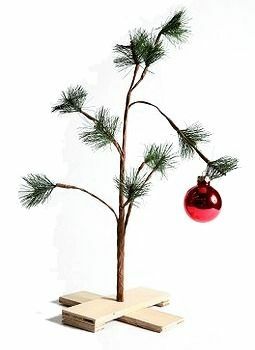 I love this perfectly unique Charlie Brown Tree! 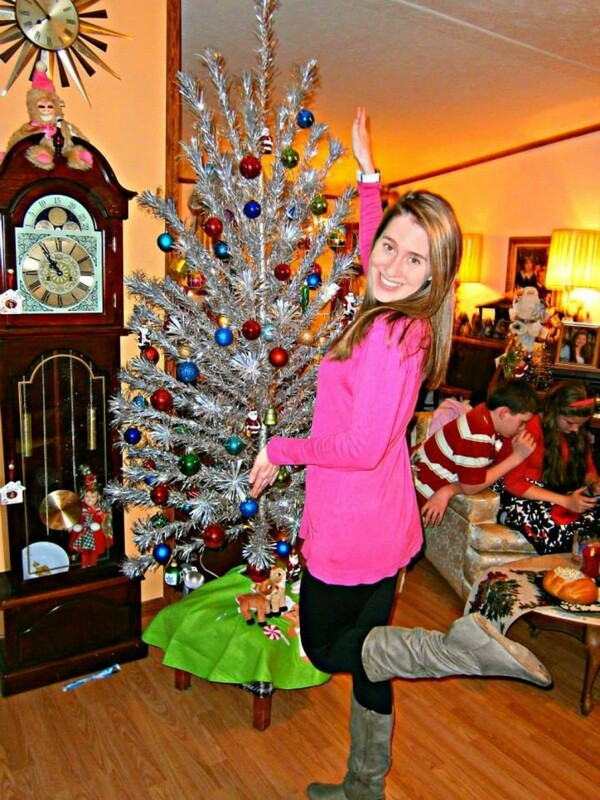 I love Charlie Brown Christmas trees! Great lens! I love Charlie Brown's Christmas too and had no idea that you could actually buy one. Now I do! Ah...I love Charlie Brown. Nice lens! I absolutely love this! Charlie Brown Tree just makes you want to hug it! Love Charlie Brown's Christmas Tree - and this is a great lens with all these unique gifts!